As humans, we tend to look for the Divine in certain belief systems, dogmas and religions, but what if we’ve been looking in all the wrong places? Much thinking and understanding of existence in the Western world has been based on the “First Philosophy” teachings of Aristotle long ago. He taught that everything could be categorized into being one of 10 different qualities. The first and highest form was substance, which is an independent. The other nine, including relationship, were considered “accidentals,” a quality dependent upon a substance and cannot exist on its own. Ultimately, substance is at the top of the list and deemed to be the highest and most independent quality. Therefore substance was considered to be the most influential form, over relationship (or in other words: nouns were considered better than verbs). This philosophy shaped how we approached God and spirituality. We wanted God to be the best and the highest, so in our minds we needed to see God as an individual and independent substance, hence, an old guy sitting on a throne determining who’s right and who’s wrong. Remind you of anyone… Zeus perhaps? But fast forward to present day science. Some interesting developments in quantum physics are turning our past understanding of substance and relationship upside down. Not only is substance not what we thought it was, but everything now seems to fall into the category of relationship. The relationship of molecules, atoms, protons and neutrons and the much smaller particles at the core of everything are in fact living and thriving because of their relationship to each other. Substance is no longer relevant without relationship. The actual make-up or energy of God/Spirit/Divine IS relationship. Inside this mysterious experience we call God, is a ‘they’. Surprisingly, this may sound foreign to you if you grew up in Christian circles like I did where the idea of Godhead has been distorted and thrown waaaaay out of balance. You also may be surprised to know that God as ‘they’ was even spoken about in the bible and was a cornerstone of original Christian faith. In fact, Elohim, a name for God used over 2,000 times in the bible, is actually the plural form of the word. (Check out Genesis 1:26 and Genesis 3:22) Yet, we still imagine God to be one dude sittin’ on a throne. You’ve heard of the Trinity, right? An idea that is vastly misunderstood today. Trinity is not just a term that shows three separate substantial entities joining together to make a whole, the important bit to understand here is the relationship of three and what that means to us as spiritual beings. Three is the basis of everything. Science tells us this, but to understand the power of three, we must understand the detriment of a foundation built on two. When there’s only two engaged, it encourages a dualistic mentality; wrong versus right, bad and good, I’m in, you’re out, righteous and sinful. Everything becomes black and white and leaves little room for the dance of life to move around freely without guilt or shame. Basically, we end up living with a fear-based mentality. We’re always trying to stay on God’s good side and we shame ourselves for the bad that we feel. Movement, curiosity, allowance, discovery, questioning, tolerance, patience… a dance unfolds. A swirling around in life occurs. Options are presented. It’s no longer an ‘us versus them’ or ‘either or’, it’s an ‘everything and all’ inclusive state of being. And what an incredible revelation to have to see that it’s the very nature of God to dance with life, to include, to listen, to look at the options, to feel, to enjoy, and to love! God is in the space between our differences. Unconditional love doesn’t take sides. It encompasses all! Furthermore, Love cannot stand on its own. It must be given and received for it to exist. It must continuously flow with the ups and downs of life like a dance. If God IS love, God is the relationship that is birthed through and with the love. Spirit/God is in the exchange between all things. The giver, the receiver, the relationship between the two, all is needed for Love to Be. Therefore, it’s needed for God to Be, and finally, for You to Be. Remember we become what we behold. Our view of God is powerful. Are you beholding a God who stands alone condemning you or one who is dancing with you through this life? 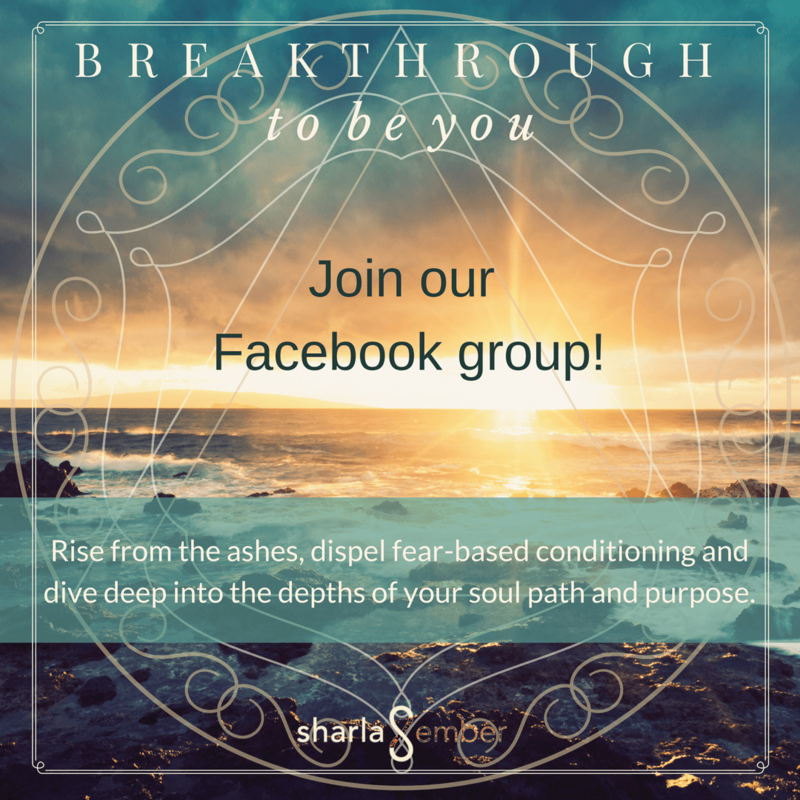 Head over to the Facebook Group to share your thoughts with us! I’d love to hear from you.